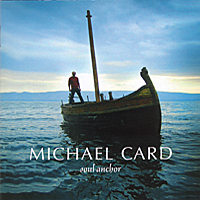 Soul Anchor is a collection of new songs from the book of Hebrews. It is the final volume of a larger collection of albums, which sought to overview the entire Bible. The songs flow out of the historical background of the first century sermon that is Hebrews. The small congregation had earlier experienced limited persecution under the emperor Claudius. Now persecution against the Christians was about to break out again under the emperor Nero. This proved to be a much more severe persecution, which the writer of Hebrews clearly foresaw. He therefore writes to encourage his congregation and most of all to give them hope. He does this by looking back to all the kept promises of God and most especially to the provision of the high priest. He looks to the present and the kept promise of the Incarnation of Jesus who is their high priest, who offers a better and more perfect sacrifice. He looks also to the future and the completion of their pilgrimage to the city of God. All this is meant to give his hearers hope. One key symbol for hope is the anchor, an ancient symbol adopted by the early Christians as their key symbol some three hundred years before the crucifix.